Welcome to 1508 (& 1510) Arch Street in the Heart of Mexican War Streets. Duplex with 1508 move-in ready featuring living room, kitchen, two bedrooms, one full bath. Freshly painted, newer furnace, hot water tank, resurfaced flooring. Currently occupied by tenant willing to move upon sale. All new floor joists, new flooring, new appliances. 1510 Arch is down to new studs ready for complete renovation to suit. Rear patio or parking for two cars. Great investment opportunity. Walk to great restaurants inc, Alphabet City, new craft brewery, West Park, Aviary, Children’s Museum, Randyland, Mattress Factory, Andy Warhol Museum. 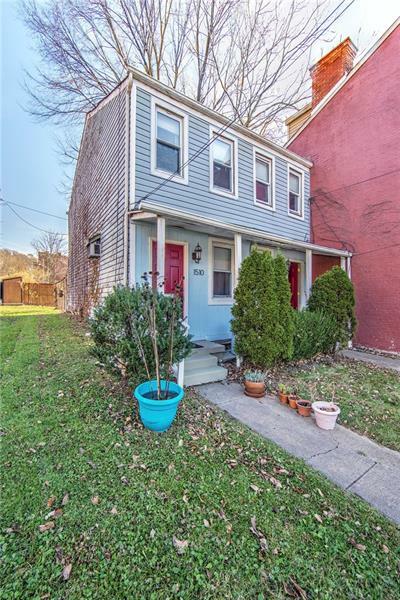 Minutes to Downtown Pittsburgh; I279; Universities, medical centers, hospitals.